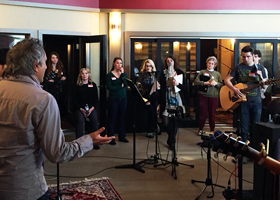 Brian leads a variety of vocal workshops for artists, singers, songwriters, performers and those who enjoy music. 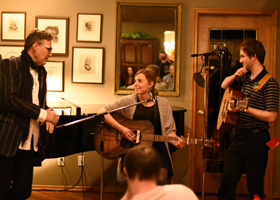 These workshops are entertaining, creative, interactive, and provide inspiring feedback for aspiring singers and songwriters. At times, guest artists and singers will visit to listen and perform. TurnTable Creative: Brian's clients are invited to attend these workshops once a month. Hosted by Brian Farrell and Neil MacGonigill (Manager/Record Label Owner/Promoter) and special guests. 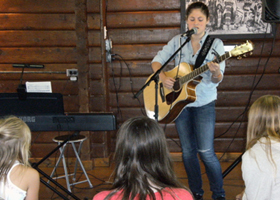 Gospel Music Workshops/Summer Vocal Workshops: For singers, choir members, band members. Hosted by Brian Farrell and special guests. Parkinson's Singing Group: Brian inspires participants through singing, humorous stories and movement.